Hi, this is Brent White. 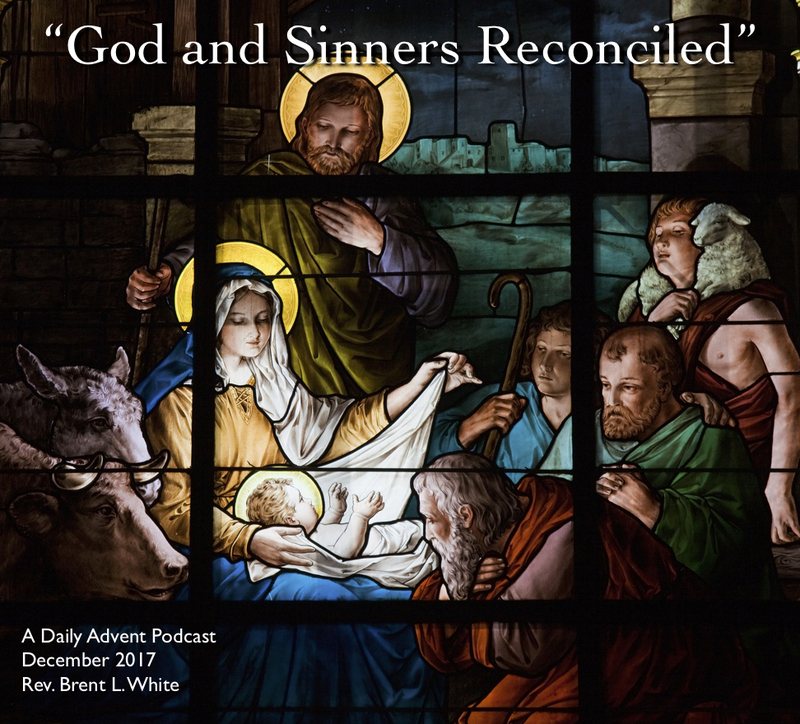 It’s December 8, 2017, and you’re listening to Day 6 of my series of Advent podcasts. You’re listening to Jethro Tull’s version of “God Rest Ye Merry, Gentlemen.” That’s Ian Anderson on flute. It’s from their 1978 live album, Live–Bursting Out. In a moment, you’ll hear Tull’s studio version from their 2003 album, The Jethro Tull Christmas Album. Today’s scripture is Luke 1:5-7 and verse 13, which I will read now. Do you see the connection between verse 6 and verse 7? “They were righteous before God, but…” “They sincerely believed in God, but…” “They were committed to living their lives to please God and glorify God, but…” In other words, in the eyes of the world, something is wrong here: If Zechariah and Elizabeth were truly righteous, if they sincerely believed in God, if they were committed to pleasing and glorifying him, then surely they wouldn’t be suffering in this way! This is why, in verse 25 of this chapter, Elizabeth’s relief is almost palpable when she finds out that she’s going to have a child: “The Lord has taken away my reproach among people”—taken away my disgrace, as most other translations put it. Back then, it was considered disgraceful not to be able to have children because everyone would assume that God had been punishing you for some specific sin or sins that you had committed. And the same was true for Elizabeth and Zechariah. God wanted them to be childless—even for this lengthy period of time—so that the power of God could be seen in them—after all, the two of them, by all outward appearances, were now too old to have a child, and even when they were young, they were unable to conceive and have children. So God was not only going to work a miracle for them personally—for which they and their friends and family were going to praise God—even more, God was going to use them as part of his plan to work an even greater miracle—to save the world from sin through the life, death, and resurrection of God’s Son Jesus. Their child, who would become the prophet John the Baptist, was going to be the prophet that the Old Testament foretold—a prophet like Elijah who would prepare the way for the coming of the Messiah. All that to say, far from punishing Zechariah and Elizabeth through all their years—decades—of anxious waiting and praying for a child, of bearing the reproach of others—far from punishing them, God was actually blessing them! So that all the waiting, all the suffering, all the tears—they were all part of God’s plan for them—and not just for them, but for the world! Is there a message here for us? I believe there’s an important one: sometimes God’s blessings hurt. Sometimes God’s blessings even feel like punishment—at least in the short run. I want to live a life so radically oriented toward God and his kingdom, toward God’s Son Jesus and his gospel, that I can say, “No matter what the cost, no matter what the pain, no matter what the indignity, no matter what the obstacles, no matter what the suffering, it was completely worth it!” Don’t you want to be able to say that? If you’re a Christian, this failure, this setback, this pain, this disappointment, this heartbreak you’re experiencing right now isn’t the end of the story… If you’re experiencing those things, that just means you’re somewhere in the middle of the story. Don’t give up yet! Because God isn’t finished with you yet! Amen? This entry was posted on	December 8, 2017 at 2:12 pm	and is filed under Uncategorized.